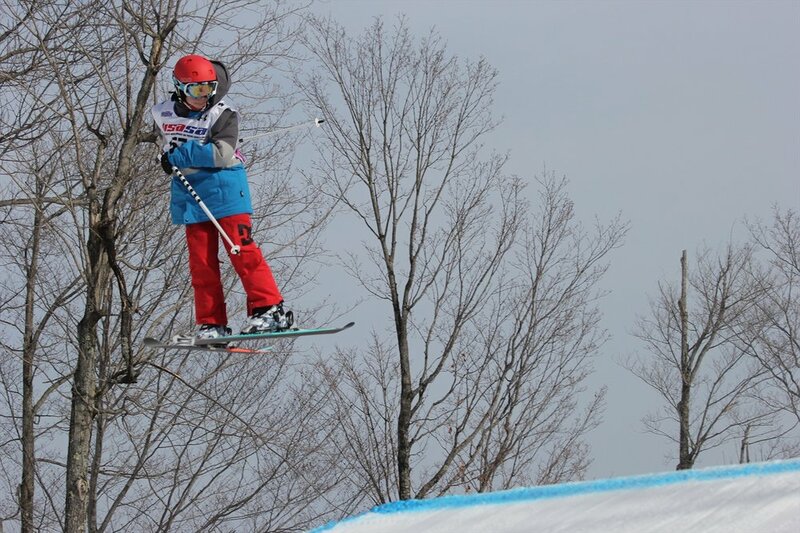 Okemo Mountain School allows athletes to compete at a high level in all aspects of Freestyle and Freeski competitions. 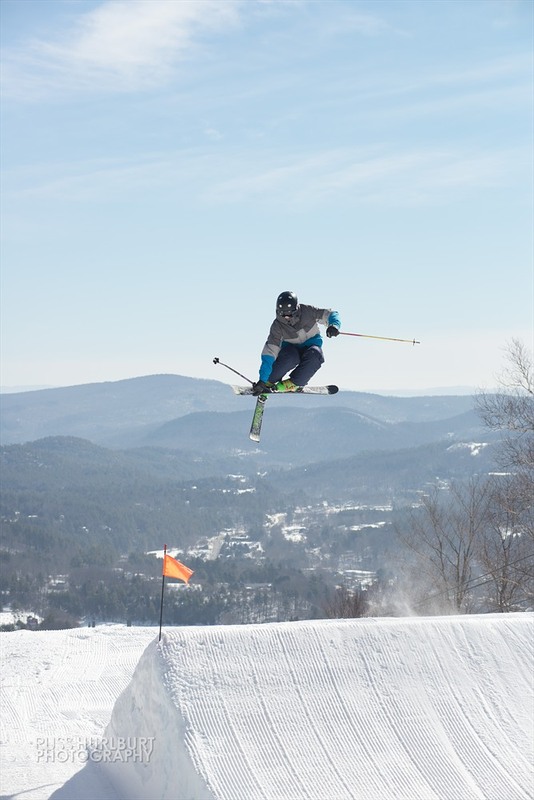 Our freestyle student-athletes can be found freeskiing on the mountain or in one of the many mountain terrain parks. However, most often they are found taking lap after lap in the halfpipe or on the OMS-inspired Crazy Train terrain park. 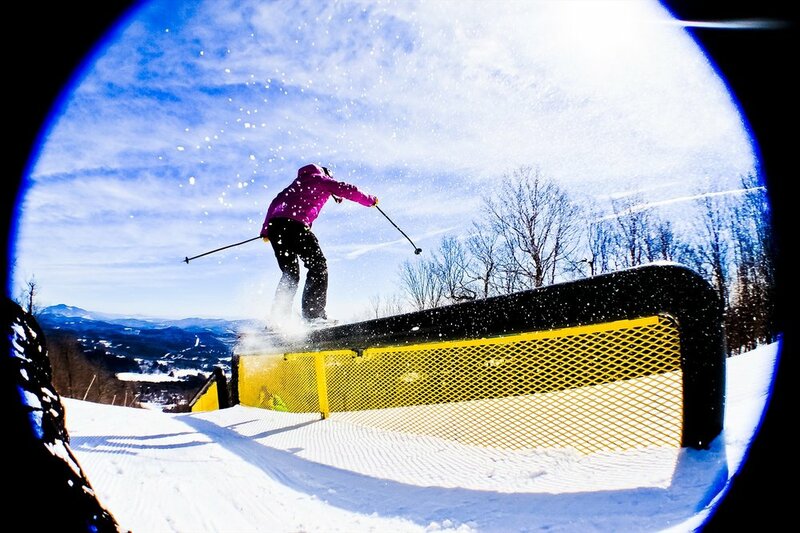 The park is the slopestyle training arena for Okemo Mountain School’s freeski and snowboarding teams. The park features an advanced slopestyle influenced competition course and training ground—with design input directly from our athletes and coaching staff here at the school. The park is also accessed by a surface lift which ensures 25+ laps in a morning of training. Moguls athletes take advantage of prime mogul training on Blackout, which is serviced by the Black Ridge Triple to allow for many training runs each morning. A new addition to Blackout and the competitions arena is an airbag for aerial training. This exciting new addition helps our student-athletes safely progress from learning tricks on the trampoline, to learning them on the airbag, to landing them on snow. A big thanks to OMARA for funding the airbag and providing this important training tool. 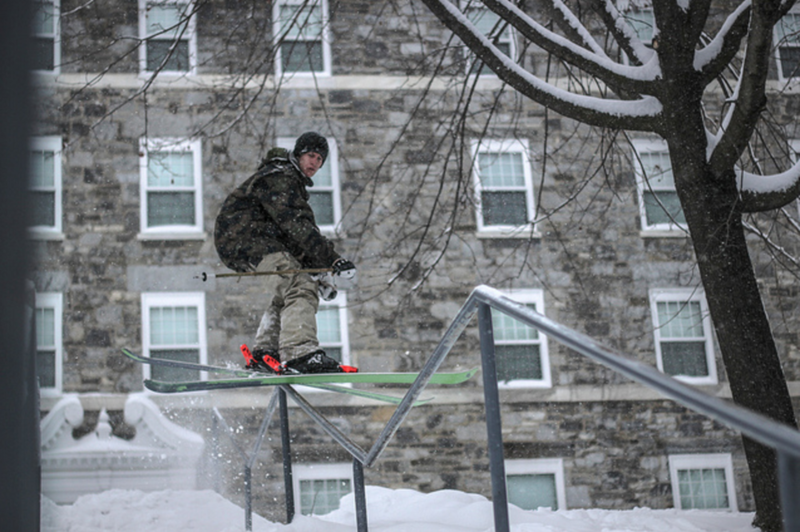 Athletes spend an average of six days a week on the hill, skiing all morning with our full time coaching staff, followed by a strength and conditioning routine or use of our on-campus trampoline. This unique experience allows athletes to maximize their potential on the hill. 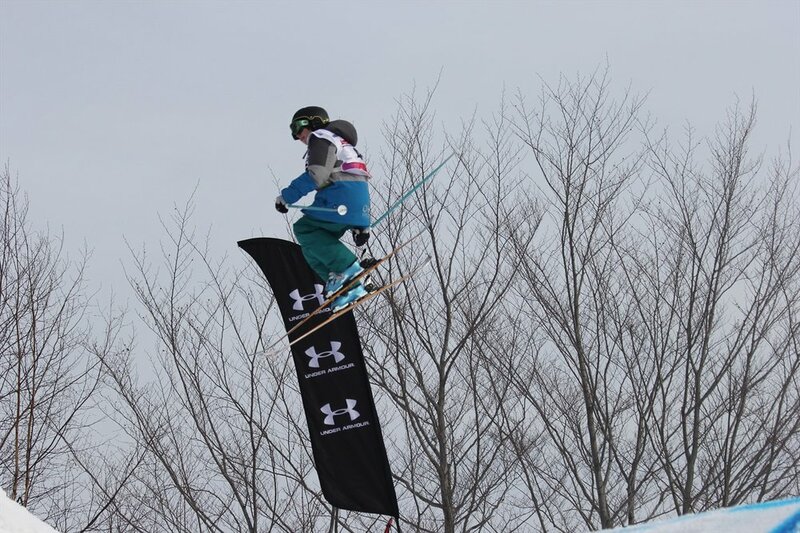 The program competes in all aspects of USSA and USASA competition series as well as Ski the East Freeride tour. OMS also offers on and off snow camps in the off season to maintain fundamentals and improve skills. It is important to maintain strength and endurance in order to prevent injury and keep progression at the highest level possible. There are also camps offered during the ski season for interested athletes. Have a question about our freestyle program? 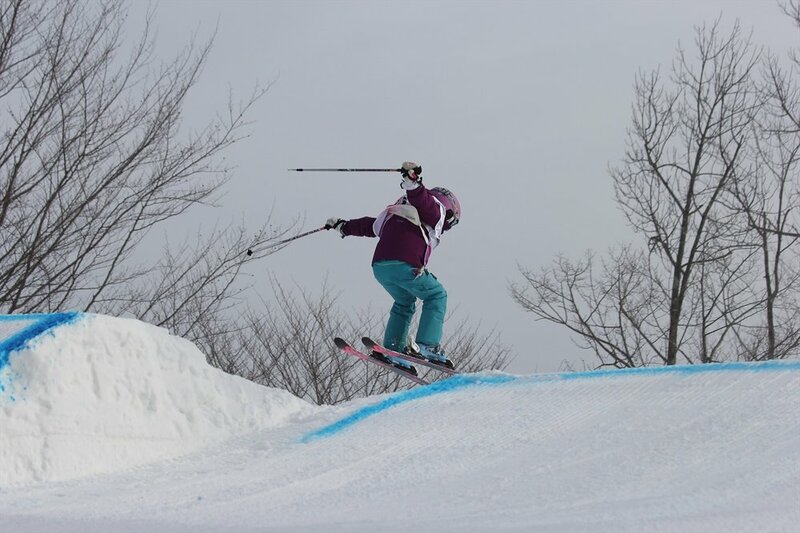 Please feel encouraged to reach out to Luke Bonang, Freestyle Sports Program Director, or Mike Bruno, Head Freestyle Coach, to learn more about life as a freestyle skier at Okemo Mountain School.